Ni no Kuni II and Valkyria Chronicles 4 in the same week. Valkyria Chronicles 4 for PlayStation 4 was the highest selling new retail release in Japan last week with 62,921 opening sales, the latest Media Create sales figures reveal. Also new last week was Ni no Kuni II: Revenant Kingdom for PlayStation 4, which opened at 56,014 sales. 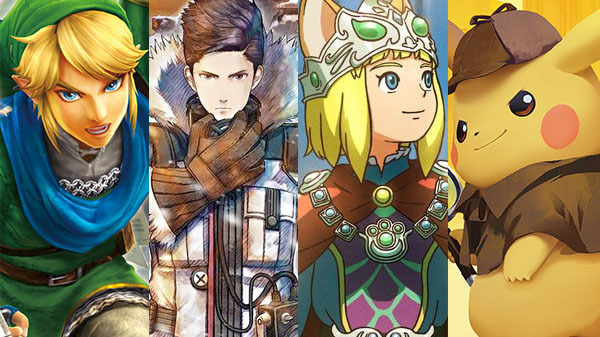 Detective Pikachu for 3DS opened at 42,013 sales and Hyrule Warriors: Definitive Edition for Switch opened at 24,908 sales. Further down the list of new releases is PriPara: All Idol Perfect Stage for Switch, which sold 12,426 copies. On the hardware side, Switch sold 50,412 units, the PlayStation 4 family sold 23,856 units, and the 3DS family sold 11,203 units.